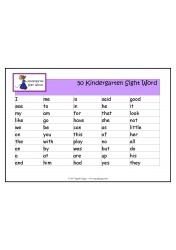 Login or Register for a FREE account in order to purchase these BARGAIN BIN worksheets. This area provides some BARGAINS for teachers, parents, and homeschooling families. 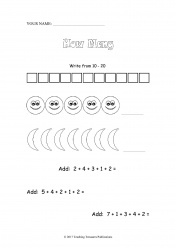 Worksheets in the BARGAIN BIN come and go! Sometimes new worksheets are added while others are removed. 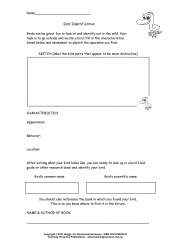 Please remember that the BARGAIN BIN worksheets are still copyrighted! 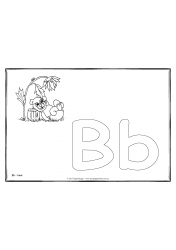 Print the 26 letters of the alphabet in black & white for young learners in Kindergarten to recognize their letters and color in the letters and pictures. Lovely, easy resource to help you teach the alphabet. These unique stories cover every letter of the alphabet helping young learners recognize their alphabet letters and provides for a challenging read. Encourages reading! 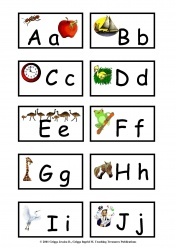 Print these ABC and Numbers 1-24 flash cards to help your Kindergarten student learn. Use as a quick reference for your child to play with, hang on the wall or shuffle on the floor and play a game of letter and number pick-ups. 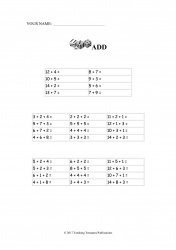 Great worksheet to build upon mathematical addition skills for ages 7 to 9. Agriculture is the process of producing feed, fibre, food and other needed products by the cultivation of certain types of plants and the raising of livestock. Agriculture is also known as farming. Agriculture has many positive outcomes, but also has a huge impact on the environment such as the destruction of wildlife habitats from clearing forests for cropland. 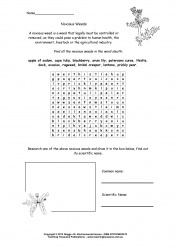 Purchase student worksheet Now! Includes teacher note. Air pollution is the presence of certain chemicals in the atmosphere that are present in high enough concentrations to affect the climate and become harmful to organisms and materials. Some of the most major air pollutants in our atmosphere today are carbon monoxide, nitrogen dioxide, sulphur dioxide, lead, ozone and suspended particulate matter (SPM). 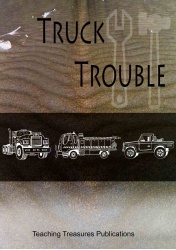 Named as the BEST Sunday School Resource purchased in a long time! Absolute value! 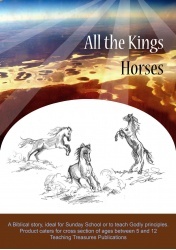 Teaching Treasures Bible Series 'All the Kings Horses' and 'The Last 2 Swords' are 2 Biblical stories using the outcomes approach and are ideal for Sunday School and to teach Godly principals at home. Product caters for cross section of ages ranging from middle primary to junior highschool. 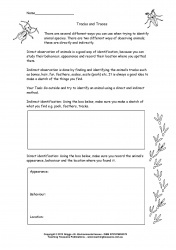 There are several different ways you can use when trying to identify animal species. There are two different ways of observing animals; these are directly and indirectly. Direct observation of animals is a good way of identification, because you can study their behavior, appearance and record their location where you spotted them. Indirect observation is done by finding and identifying the animal’s tracks such as bones, hair, fur, feathers, scales, scats (pooh) etc. It is always a good idea to make a sketch of the things students find. 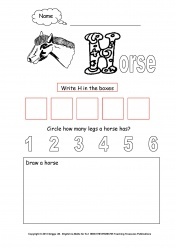 If you are teaching about animations then this activity is a gem. Students create a small flip-book to help them understand how animations are made, frame by frame. Microbes are found everywhere. 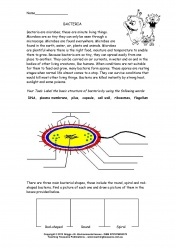 Microbes are found in the earth, water, air, plants and animals. Microbes are plentiful where there is the right food, moisture and temperature to enable them to grow. Because bacteria are so tiny, they can spread easily from one place to another. They can be carried on air currents, in water and on and in the bodies of other living creatures, like humans. When conditions are not suitable for them to feed and grow, many bacteria form spores. These spores are resting stages when normal life almost comes to a stop. They can survive conditions that would kill most other living things. The environment consists of all the living and non-living surroundings of an organism, these two surroundings are referred to as the biotic and abiotic components. 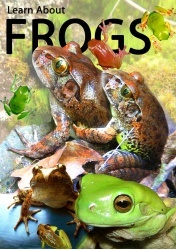 A biotic component refers to all the living, which consists of the plants and animals. An abiotic component refers to all the non-living things in our environment, consisting of the physical surroundings. 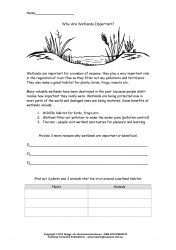 A worksheet to help students learn about birds and identify some common species found in and around the school yard or at home. 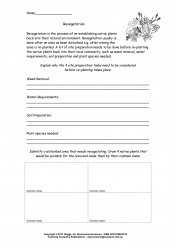 Purchase student worksheet Now! Bridging the learning gap comprises of six, 90 minutes, fun English grammar lessons using paper, oral and Internet based methods. 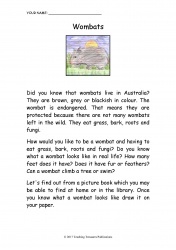 These simple, effective lessons are easy to follow, step by step instructional activities for primary school students. Ideal for teachers, or parents, who wish to teach or re-enforce some basic grammar. Mix auditory, visual and hands-on techniques to improve and build upon children's weaknesses or skill gaps rather than sticking to one method only. Thoroughly tested on numerous students between the ages six and fourteen. Use the lessons over six days, six weeks or incorporate two lessons in one week. It is totally flexible to suit your teaching schedule. Content: What is grammar? Parts of speech - nouns, pronouns, adjectives, verbs, adverbs, prepositions, conjunctions, interjections. Flash cards. Review 'grammar flash cards'. Capital letters & flash cards. 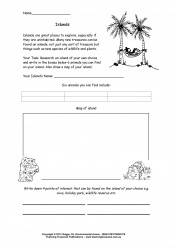 Story reading with corresponding 'capital letters' worksheets. Internet. Review 'parts of speech' & 'capital letters'. 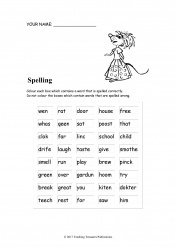 Introduction of spelling and dictionary usage with corresponding worksheets. 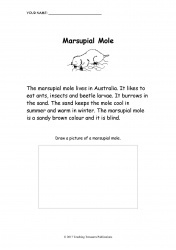 Singular and plural rules with corresponding worksheets. Introduction of commas - question marks & exclamation marks. Story reading, oral comprehension using the Internet. Review 'grammar flash cards'. Capital letters & flash cards. 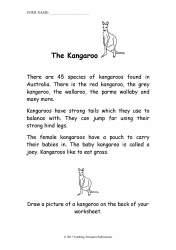 Story reading with corresponding 'capital letters' worksheets. Internet. Review 'parts of speech' & 'capital letters'. 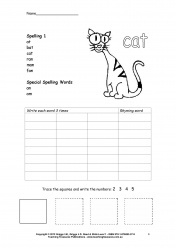 Introduction of spelling and dictionary usage with corresponding worksheets. Review 'parts of speech' & 'capital letters'. 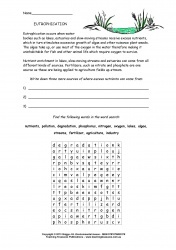 Singular and plural rules with corresponding worksheets. Review 'parts of speech'. Introduction of commas - question marks & exclamation marks. 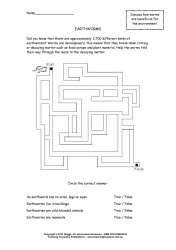 Review lessons 1 - 5 with complementing fun activities. 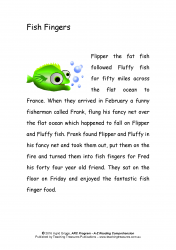 Story reading, oral comprehension using the Internet. 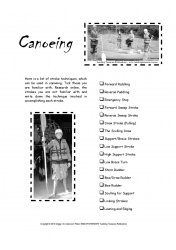 Many school camps include canoeing these days so here is a document to help students understand canoeing and the paddling strokes involved. 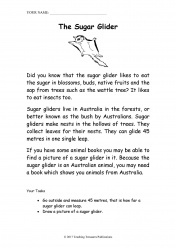 Learn about caterpillars and their use in the environment. 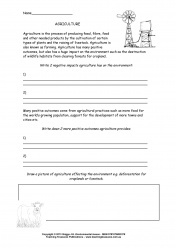 Great worksheet to explore this topic with year 6 students. Includes teacher note. Learn about cubes. 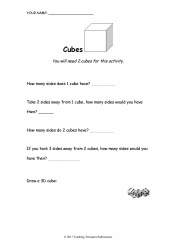 Maths worksheet to help you teach your students. Young children need to be aware of danger around them. 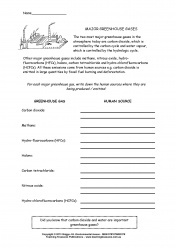 To give you a helping hand with your danger topic about toxic waste, dangerous goods, dangerous acids, high voltage, flammable liquids, poisonous animals or other types of danger, there is a color-in worksheet for this activity. 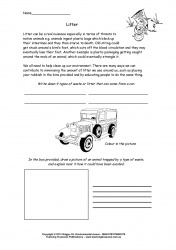 Simply prepare and present your talk or lesson plan about 'danger' before giving your student the worksheet to color in. 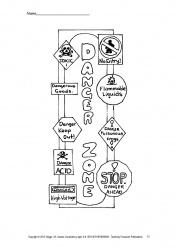 Display finished work in your classroom for several weeks as a reminder to your students about dangers around them. 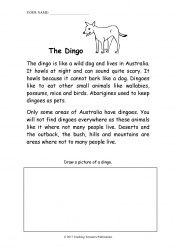 Free worksheet about the Australian dingo. 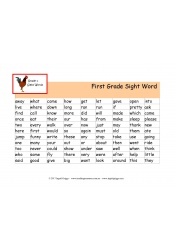 For classroom and homeschool use. 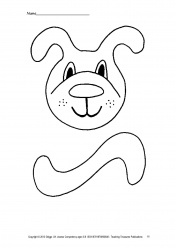 Teach numbers 1-40 with this fun activity. 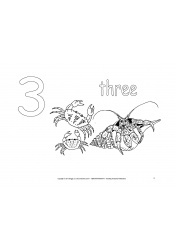 Simple enough to make for little ones yet very powerful to teach the numbering system in ones and groups of tens. Example can be found online. 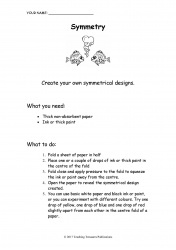 For students who confuse numbers and sums this may be a helpful fun project. It combines Maths and Art skills. By reading the columns up and down it will tell the student lots about the number four. The number grid will show a lot about the number 4 by reading it up and down. 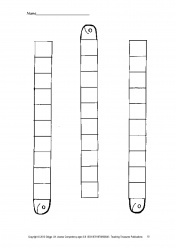 The number column written in red represents the four times-table. By looking at any other number in the columns you will be able to add or subtract the number four quite easily - look below the number you want to add four to and there's your answer. Look above the number you want to add four to and there's your answer. Learn what is in an egg such as the shell, shell membrane, chalaza, albumen (egg white), germ spot, yolk (egg yellow), and air chamber. 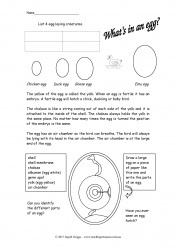 Fantastic worksheet about eggs which is very challenging for most! Includes your teacher note. Industrial pollution such as smog is a type of air pollution consisting mostly of a mixture of sulphur dioxide. The suspended droplets of sulphuric acid are formed from some of the sulphur dioxide, and a variety of suspended solid particles. Carbon monoxide is a colourless, odourless gas that is poisonous to (air-breathing) humans and animals and is formed during the incomplete combustion of carbon-containing fuels. 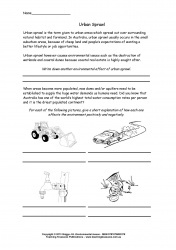 Urbanization is formed when a large number of people move into a city area, often caused by natural increase (more births than deaths) and by immigration, mostly from rural areas. A bushfire is a wild fire in the bush, scrub or forest, either deliberately lit or started by accident such as by lightning. Eutrophication occurs when water bodies such as lakes, estuaries and slow-moving streams receive excess nutrients, which in turn stimulates excessive growth of algae and other nuisance plant weeds. The algae take up, or use most of the oxygen in the water therefore making it uninhabitable for fish and other animal life which require oxygen to survive. 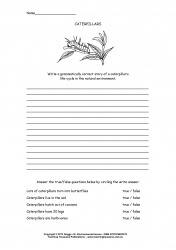 For teachers living in Western Australia who intend to visit Fremantle Prison with their students, this resource is ideal. We've included answer keys to help you and there is 1 worksheet for each of the following grades. Year levels are fully flexible of course and you can swap worksheets to suit your student's learning level or learning ability. 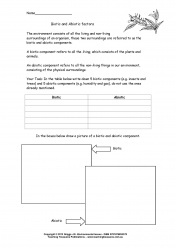 Purchase 'fruit structures' student worksheet Now! Includes teacher note. Fruit have several layers in them, some of which include the exocarp, mesocarp and the endocarp, and then there are the seeds, which are located around the centre of the fruit. Help your students learn about fruit structure. Science – learning about the structure of fruit. English – improve research skills and verbal communication skills. 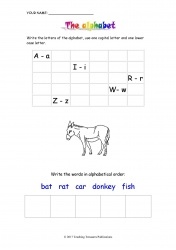 Teaching the alphabet is fun with some extra help using these worksheets. 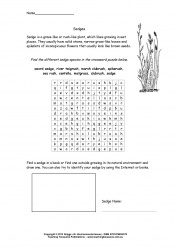 Children learn best while their little hands are busy and this resource delivers just that! Give them a head start with this 26 page document. 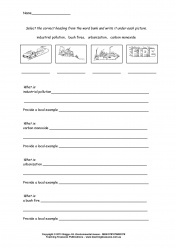 If you're teaching the German language to your students you could use these worksheets to help. 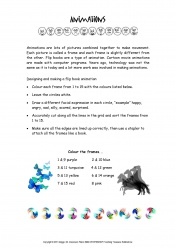 Covers numbers 1-12, colors, basic words. 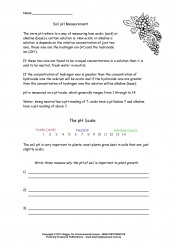 Six worksheets and six teacher notes. Don't get Sick! 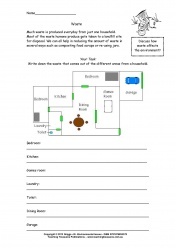 Teach children about germ with this handy free worksheet. Teach about food safety storage, preparation and more. Easily incorporate into your existing lesson. Global warming refers to the increase in the Earth’s temperature, which then causes changes in the climate. Global warming is caused by human activities such as the release of carbon dioxide and other air pollution into the atmosphere, which then collects in the atmosphere like a blanket, blocking out the sun's heat, therefore causing the planet to warm up. 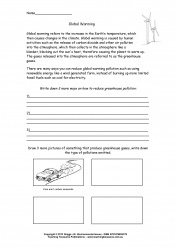 The gases released into the atmosphere are referred to as the greenhouse gases. There are many ways students can reduce global warming pollution such as using renewable energy like a wind generated farm, instead of burning up more limited fossil fuels such as coal for electricity. The two most major greenhouse gases in the atmosphere today are carbon dioxide, which is controlled by the carbon cycle and water vapour, which is controlled by the hydrologic cycle. 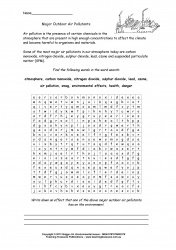 Other major greenhouse gases include methane, nitrous oxide, hydro-fluorocarbons (HFCs), halons, carbon tetrachloride and hydro-chlorofluorocarbons (HCFCs). All these emissions come from human sources e.g. carbon dioxide is emitted in large quantities by fossil fuel burning and deforestation. 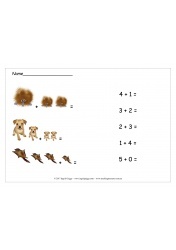 Great little resource to help you teach your little ones mathematical concepts. 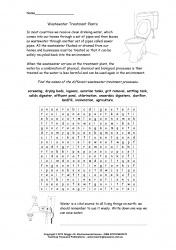 If you're teaching about the human body then this worksheet may help you with your existing curriculum. A noxious weed is a weed that legally must be controlled or removed, as they could pose a problem to human health, the environment, livestock or the agricultural industry. 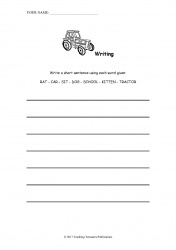 Purchase student worksheet Now! Includes teacher note. A very simple yet extremely effective learning exercise for those wanting to expand their vocabulary. Each page contains 60 words, 20 words per column. Total of 1440 spelling words are listed on this document. 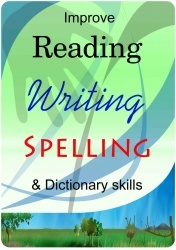 Follow the easy steps for a successful learning outcome in spelling, reading, writing and dictionary skills. 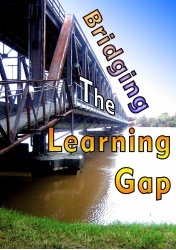 Also suitable for older students, adults or ESL students. 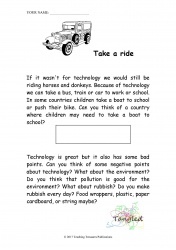 A fun project to do with your students while teaching them about technology. 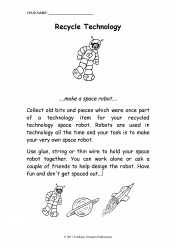 Create your very own space robot! 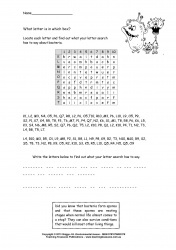 Subtraction worksheets for classroom or home use.